Father to an 18-month-old daughter James (yes!) 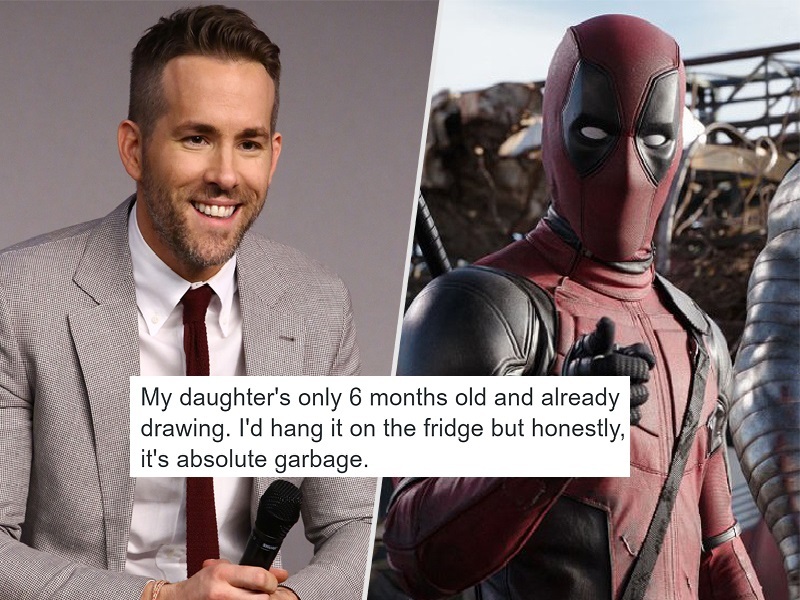 and expecting a second child soon, Ryan Reynolds is a living, breathing textbook on parenting. Read on! Father to an 18-month-old daughter James (yes!) and expecting a second child soon, Ryan Reynolds is a living, breathing textbook on parenting. Not. The Canadian actor’s Twitter feed, like that of any other new parent, is full of updates about his daughter, though not quite in the conventional sense. Still confused? Read on! Tip: It's important parents take little "time outs" for themselves too. Even if you feel pretty guilty when you return 14 years later.